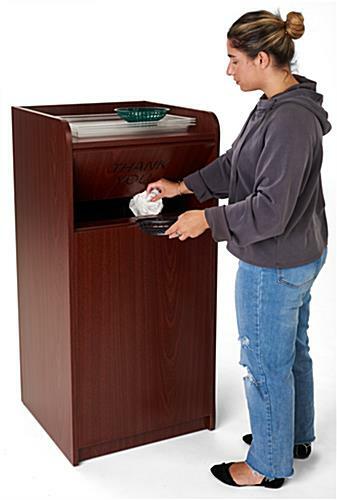 Hide refuse and garbage bags out of sight with this wooden restaurant trash can. 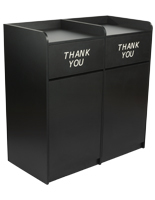 The waste receptacle container is capable of holding bins up to 36 gallons. 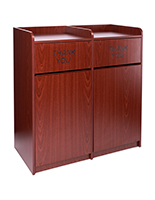 With a special mahogany finish, each melamine finished trash can looks good in any cafeteria, food court, or other eatery environment. 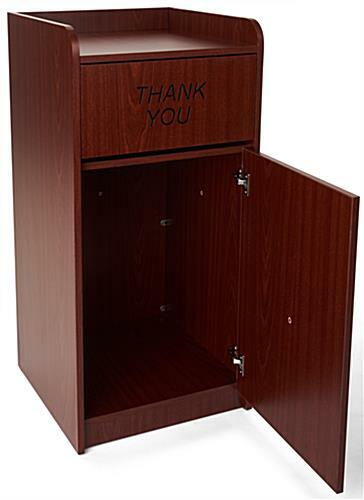 Engraved on every swinging door is a “Thank You” message in black letters. 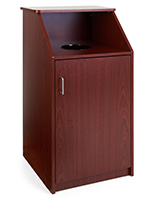 A recessed top shelf area holds platters and trays measuring up to 20”w by 20”d. 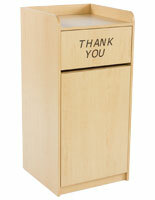 Use the waste receptacle container to hold 36 gallon bins within these trash cans in your eatery. 32.0" x 46.0" x 22.0"
decent Asian quality with picture instructions only--assembles in the Ikea manner. 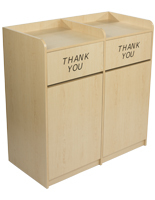 The last, involving placement of the hinged front bottom panel needs text and clarification, badly. 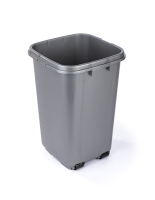 Last, shame on Displays2Go for touting a "36 gallon liner" as a matching accessory. 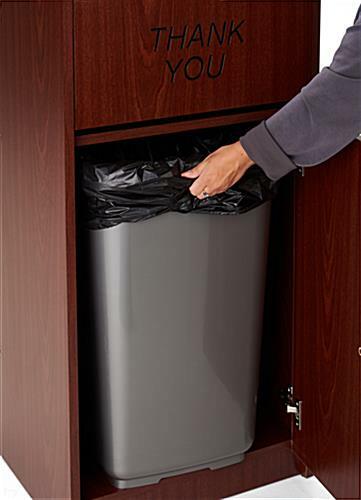 It is 16" x 16" at the top-- leaving 4" x4" , or a consistent, open 2" margin all around the top, for trash and goo to fall outside of the trash can. Who needs a daily ritual of hand cleaning needless mess. Thank you for the helpful input, Peter. 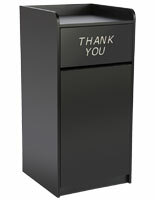 We have forwarded it to our product developers to review. 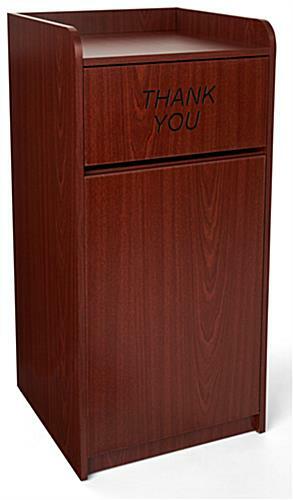 One of our customer care specialists will reach out to discuss your experience with us. Thank you! I have purchased both the single and double versions of this. They seem well made and look very nice. 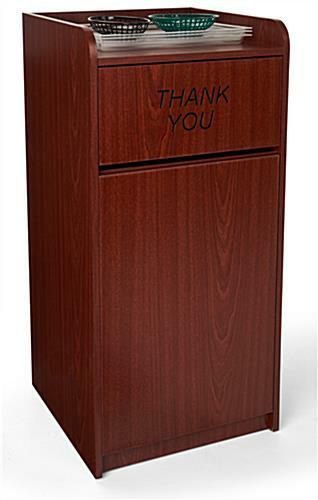 We're glad to hear the trash receptacle worked well for your needs, Russell. Thank you for shopping with us!